Photo by Dana Anderson. Image courtesy of The Nelson-Atkins Museum of Art. Kansas City, MO. 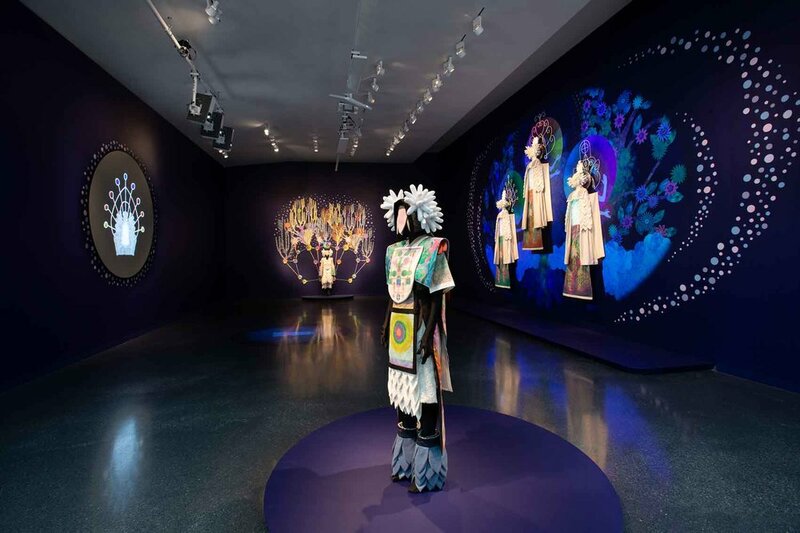 –Visitors to The Nelson-Atkins Museum of Art in Kansas City will be transported to a fantastical world created by artist Saya Woolfalk when they experience Saya Woolfalk: Expedition to the ChimaCloud, an immersive, multimedia exhibition created for the Nelson-Atkins that opens March 1. 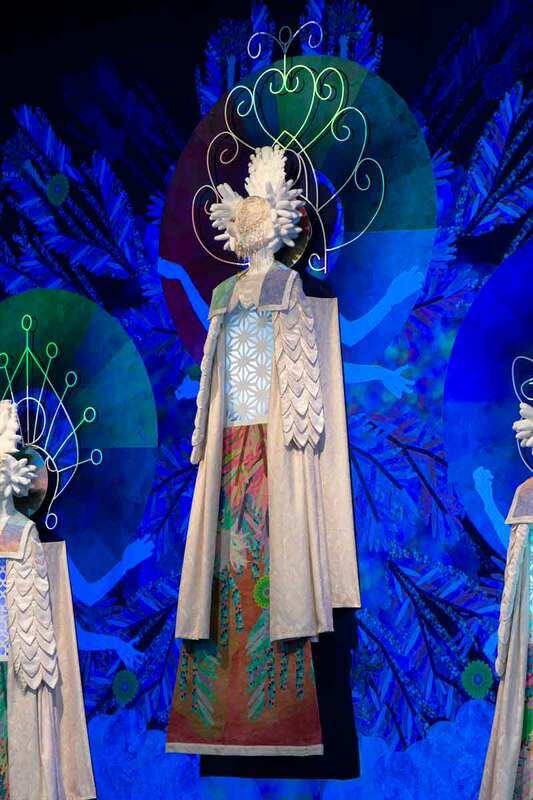 Expedition to the ChimaCloud incorporates cultural hybridization, technology, identity, spiritual rituals, and science fiction to continue the extensive narrative of a fictional race of half-plant, half female beings created by Woolfalk called the Empathics.